Are you one of the many women out there who have felt that drinking coffee is bad for you and experienced guilty feelings when trying to enjoy your morning coffee? If so, then you are not alone. It’s been a common misconception for years that coffee is the devil’s drink. 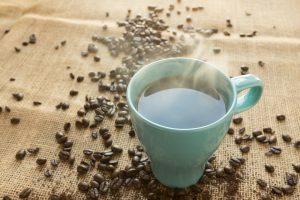 Luckily, many universities and medical institutions have conducted more recent research on the effects of coffee, specifically the caffeine contained in coffee, on your body. And it’s good news. It turns out that your morning coffee (and the ones after that – let’s be honest huh) actually has many benefits. Of course, we all know about the effects it can have on our ability to focus mentally and how it can help us keep awake for longer, but did you know the following is also true? Here are five reasons why you shouldn’t feel guilty about enjoying a nice pot of freshly brewed coffee! According to a study carried out by Dr Cao, a neuroscientist at the University of South Florida, moderate coffee consumption can significantly reduce the risk of developing Alzheimer’s Disease. Moderate consumption is assessed to be around two to three cups a day for women. Note that while drinking more coffee than that didn’t increase the positive effect, it didn’t create a negative effect either. 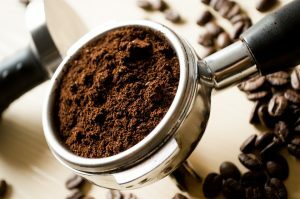 Drinking coffee an hour before your workout can make it up to thirty percent more effective recent studies have shown. The caffeine in the coffee stops your muscles from feeling the effects of fatigue so quickly which means you can work out harder and for longer. For women, it is recommended that you drink two cups of black coffee to get the best effects. The New England Journal of Medicine’s study on how coffee can affect your lifespan showed good news for women. Women who consistently consumed two or more cups of coffee per day are statistically more likely to live fifteen percent longer than those who don’t drink any coffee. Although the research was inconclusive as to exactly how this works, it is presumed that the antioxidants found in coffee were responsible. Researchers at Harvard University found that women who drank more than three cups of coffee on an average day were twenty percent less likely to develop skin cancer than those women who drank one cup of coffee per month or less. It is believed that this effect is down to the caffeine in the drink as the participants who drank decaffeinated coffee showed no significant improvement against those who didn’t consume coffee. Got an important presentation coming up at work? Try drinking some coffee! Research shows that consuming caffeine immediately after studying something new can help your brain to retain that information for up to twenty-four hours. A John Hopkins University study showed that participants who consumed 200mg of caffeine immediately after studying a series of images were able to recall significantly more details after one day than those participants who didn’t consume the caffeine. So you can now stop feeling guilty about enjoying your coffee! Not only does it taste and smell great, but it can also benefit the health of your body and your mind and that can only be a good thing! Why not go and stick the kettle on and put your feet up and enjoy a nice cup of coffee while you consider the good you’re doing for yourself while drinking it. Dennies John is a self-made barista and espresso fanatic who blogs over at Dripped Coffee. He is passionate about teaching people how to make great coffee at home. You can find him on Google Plus.